The first place I fell in love with the late, beloved science fiction author Harlan Ellison was in comics. 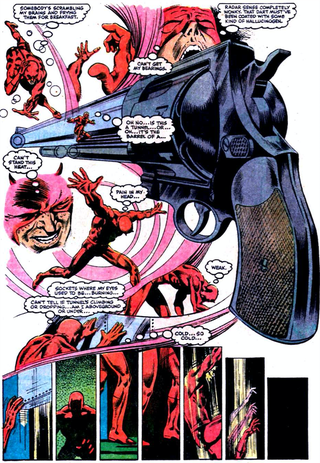 Specifically, it was in Daredevil #208, a comic I obsessively read over and over again when I was a kid. After re-reading it last night, I can definitely state that it holds up extremely well. I got hooked into Harlan Ellison’s non-illustrated prose and fiction writing after my first contact with him in comics. The rambunctious genius of his writing created a gravity well I didn’t want to escape. His concepts were sharp, his descriptions lush, and his drama filled with stakes that always mattered. Ellison’s career took him to many spaces and he shone in most of them. Daredevil #208—written by Ellison and Arthur Byron Cover, with art by David Mazzuchelli, Danny Bulanadi, Joe Rosen, and Christie Scheele — showcases the best aspects of both the title character and Ellison as a storyteller. 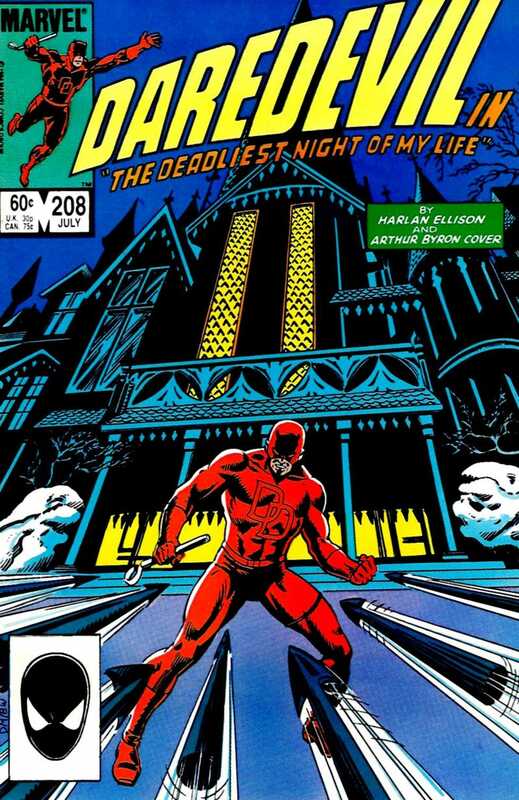 The cover of Daredevil #208. “The Deadliest Night of My Life” begins briskly with an economical choice. Rather than wasting page space to trot out the standard beat of a hero going on patrol and taking out some thugs, Ellison and Cover tell you that it just happened. 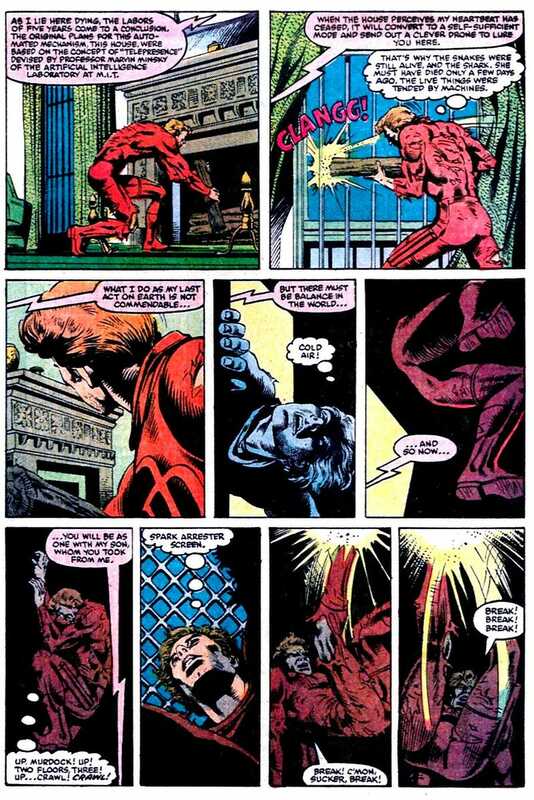 Daredevil’s exhausted and just wants to go home but then hears a cry for help from a little girl. No good deed goes unpunished, Man Without Fear. The first of many traps that Daredevil faces in this issue. She’s a bomb. 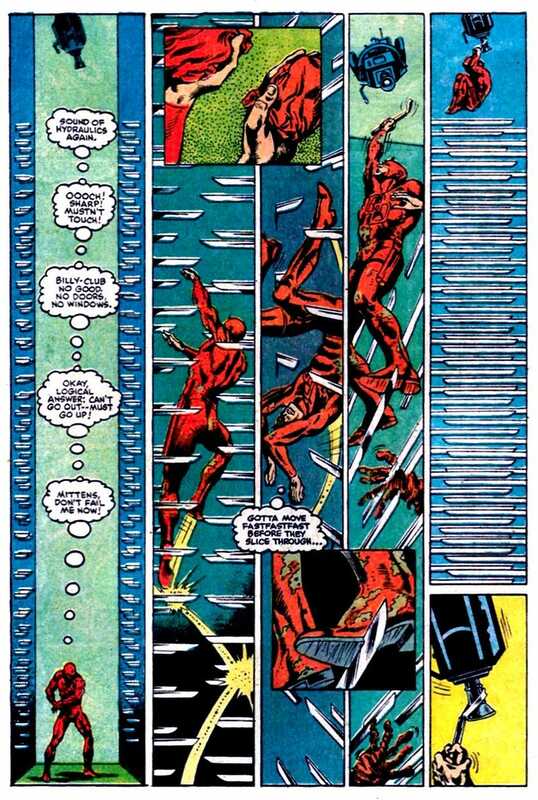 Specifically, a robot made to lure Daredevil into a tunnel that herds him towards a gauntlet of death traps. 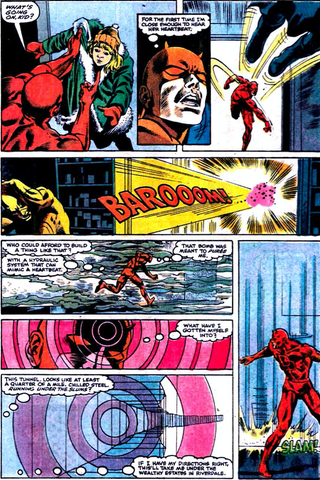 I’m not sure what each writer’s specific contribution to the story was, but the gleeful command of scientific minutiae as Matt Murdock’s masked alter ego faces hazard after hazard and inner monologue voicing feels very much like Ellison. An amazing page layout by Mazzucchelli. The pacing of this story is insane, taking a well-worn trope from superhero comics—the elaborate death-trap—and ramping it up to the nth degree. 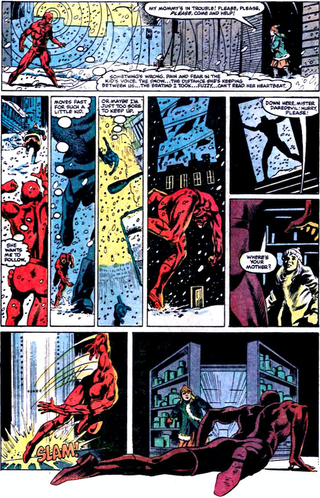 The marathon of danger that Daredevil faces always feels like it’s ratcheting upwards with pressure, and his exhaustion becomes the reader’s. Yet all that density executes a counterintuitive trick of also creating exhilaration, because it’s a roller coaster ride to see Daredevil barely escape with his life multiple times in this single issue. The Daredevil of the late 1970s and early 1980s crystallised a lot of the hallmarks that we know take for granted: the ninja training, often self-destructive stubbornness, a super-sensory connection to the world realised in very few other characters. Though he’s just dropping into the series for a midstream one-off, Ellison goes along perfectly with the flow. He has Matt meditate to centre himself in the midst of all the chaos and hallucination and muster strength for a final reckoning. Up until the final pages, the kinetic drive of this story makes the mystery at its core all but perfunctory, but the reveal of the trap-house’s architect unleashes a full dose of Ellison prose. There are a lot of words in these panels but they throb with texture and momentum. We can feel the pedigree and animus of Elizabeth Dawes Sterling, who honestly admits she’s doing a bad thing. Daredevil desperately tries for one more escape. Still a few years away from his star-making turns on Daredevil: Born Again and Batman: Year One, David Mazzuchelli’s art shines all throughout “The Deadliest Night of My Life.” His skill with body language and facial expression is already in evidence. His linework evinces a wonderful feeling of texture and delineates more detail than he would in those later, more minimalistic works. He also breaks up page layouts in assured fashion, going from grid to kaleidoscope and back to create drama and rhythm. 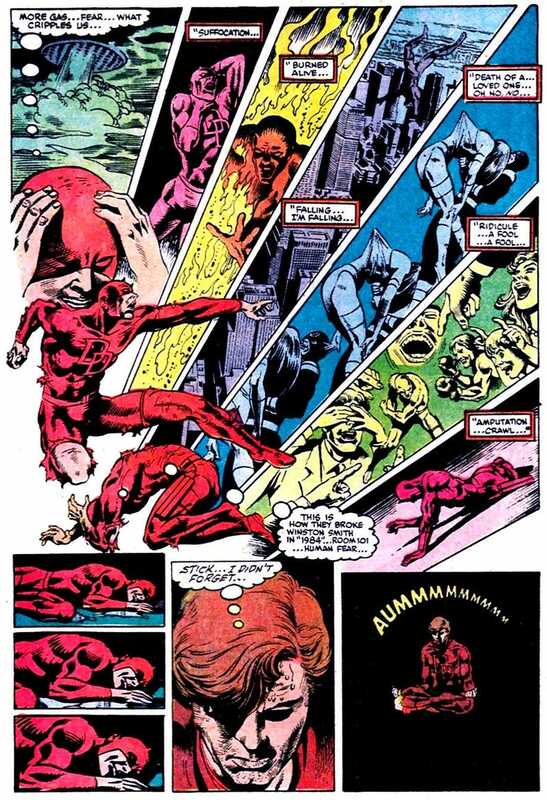 Before last night, I hadn’t re-read Daredevil #208 in many years. But I remembered almost all of it, and I caught myself hypnotically chanting along with certain sequences. That’s all owed to the strength of Ellison’s writing here, in a work that reinforced a great series by being so different than what ordinarily happened in it.